This is Hideo Baba, producer of the Tales of franchise. I’d like to take this opportunity to thank all of our fans in North America and Europe. It’s been an absolute pleasure attending various overseas events and interacting with so many of you. I really feel like we’ve been able to sustain our franchise for 15 years because of such a loyal fanbase. I cannot thank you enough. Starting March 26th, we’ll be digitally distributing Tales of Graces f on PlayStation Network. I strongly urge anyone unfamiliar to the series to give it a shot. An epic adventure of unimaginable proportions awaits you! We will have two versions of the game available next week; the Standard Edition ($34.99) and Knight Edition ($54.99). 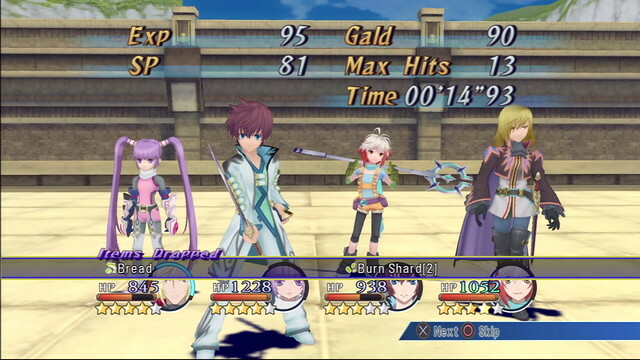 The Tales of Graces f: Knight Edition will come bundled with more than 10 DLC items to help new adventurers on their quest including increased stats, health and currency. 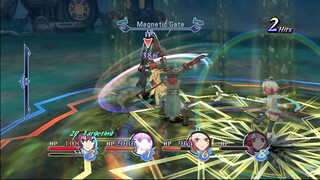 In addition, the western release of Tales of Xillia on PS3 is right around the corner — it’ll be out this summer! For the first time in the franchise, you’ll be able to select between two main characters and experience the game from two different perspectives. It’s up to you whether you want to play as the male or female protagonist. Tales of Xillia is a culmination of all our development efforts over the years, so I can’t wait for our western fans to try it out. We have a lot more events planned until the release of Tales of Xillia, so I strongly urge you to come visit us when you have the chance. I look forward to meeting all of you. We’re planning on making this a Tales of filled year, so we have a lot of surprise announcements lined up — stay tuned! Thank you again to all of our fans who have supported us over the years. We hope for your continued support in 2013. Would be nice to see a video – even a trailer. a Tales game for the vita please. But this is really good news.. :D Haven’t gotten to play ToGf yet. [: Have always been reluctant to buy used cause of the lack of supporting devs.. but this money will make it a good purchase. Sounds great. Hopefully a lot of people support these titles so that there are more chances for games like these to be localized in the future. @2 Yes I would like a tales game for the Vita too. 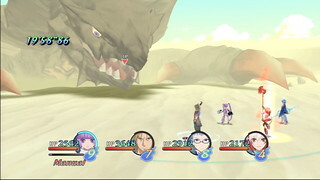 Would love to see Vesperia (PSN only release maybe? ), Innocence R, and Hearts R coming to Western shores as well. I already have Graces f, but am definitely excited for Xillia to come out. So, maybe the 2 Vita Tales games? That would be awesome. I really want those tales games! Can’t wait for Xillia. Played Graces f and I really enjoyed it so it’s good that it’s going digital! Oh OH OhoHOHOHO… Didn’t even see that @9 !!! That’s SUCH good news… I want Innocence and Hearts! Although… with Atelier Torori, P4G, Disgaea(on Tuesday as well as) ToGf, now…. Way too many to play..
Hurrah! Finally a release window for Xillia! I’m hoping we hear about Innocence R, Hearts R, or Xillia 2. Vesperia PS3 would be nice too, but at this point, it feels like a lost cause. Will this be available in México? also would love to see the Vita versions localized. 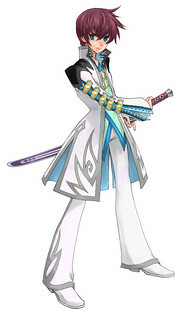 Tales of Symphonia (GameCube version) remake in HD for PS3 and/or next-gen please. That would be a solid profit maker. Would love to play as Lloyd and the gang again. No japanese audio… no buy, sorry!!! Bring over Innocence R and Hearts R! Hi I really like this game and the tales of series and I am really looking forward to tales of Xillia. I will like to know exactly which DLC will contain the knight edition because I use to play that game with a couple of friend and we make reunions to play because we don’t like to play with the pc and we actually both 1 or 2 DLC. So I will like to know with witch DLC this edition will come. I add my voice to the above voices: there’s a crowd of 5-10K players at the bare minimum that would gladly purchase Tales of Innocence R and tales of hearts R if they were localized, even if they were only available via digital purchase, like other titles have been doing. Nice!! Will def pick this up!! How about some of the Vita Tales games? It would be nice to see a release of either Innocence or Hearts. If anyone here is debating whether not to get this game, do it! Fantastic game! That’s actually good news. I can finally just shelve my physical copy, and finish the game digitally. Convenience for me. Can’t wait for Xillia to come out! I got Graces at launch, so this isn’t really big news for me but it’s still nice to see it’s getting a price drop + digital release so more people can enjoy it. Top notch, amazing game, really glad that you guys are localizing the series again, the Tales games are some of my favourite titles. On that note, how about localizing those Digimon games (Digimon re: Digitize and Digimon Adventure), and making them PS Vita compatible? im glad it will finally be on psn. 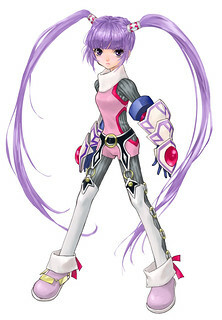 i hope sony adds star ocean international and ar tonelico qoga on psn now. This needs to stay Top News for a while…. Anyone agree? For as old as the game is I was expecting $19.99 or $29.99. Might finally grab it though since I haven’t played it yet and will net me another $10 back. I guess the Tales games on Vita would be pretty cool for a surprise too, but I am just happy to finally have a release for Xilia. Would have been cooler if the Knights Edition included all costumes and such goodies. Both Tales games on the Vita coming out here! Eventually Tales of Xillia 2! Please keep it up! JRPG is my favorite genre, and God knows I won’t be getting that fix from Final Fantasy anytime soon! Tales is the series that’s been winning me over more and more! Awesome, I love Tales of Graces f and will surely be getting Tales of Xillia when it comes out. Hopefully, since you plan on making this is a Tales of filled year, this means we’ll be getting Tales of Innocence R or Tales of Hearts R, either of which I would be really excited about. In any case, keep up the good work. PlayStation store please get Digimon card battle, Digimon World 1,2,3.4 and Vandal Hearts 1 and 2. your loosing my money. Series has a LOT that can be done to keep it relevant in the west. Will Namco do it? We can only hope! That right there is 6 games, 6 games that gamers have wanted for so long now. Please, Namco, allow us to give you our money in exchange for those awesome titles. I was hoping to see Tales of Graces f come out on the PS3. This is the type of game that is right up my alley and I can’t wait to try it out! @1, they have a video trailer on Amazon! So I’m guessing, localize a throwaway Vita title to appease the gods and a launch window PS4 tales? buying this day one. please release the others on psn! and maybe make tales of xillia a digital title too? @Nooterman Obvious troll is obvious. 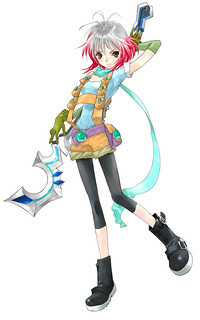 Please make Tales of Xilia available on psn day 1. Definitely with others in wanting some Vita titles. More JRPG’s is a great thing. I’m in RPG heaven. It took forever, but finally a vast wave of RPG goodness. Day 1 for Tales of Xillia! Between NiNoKuni this year and Xillia I’m in JRPG heaven — gosh, thank you based Namco!